Death is banal. Lost in its ubiquity, most of us pass unnoticed; while others live on even in death. It is an unequal affair. We like our heroes to be martyrs. They must spill blood or at least lose some. Upon those that die heroically and tragically, a halo ascends. In November, we published The Way I See It: A Gauri Lankesh Reader after Gauri was assassinated. Her death produced a book that her living on would have denied—and we now take comfort in the odd review that tells us how everyone must read it and reflect on what Gauri lived for. Four months down the line, we bear the news of the death of another author before the birth—no, rebirth—of his book. 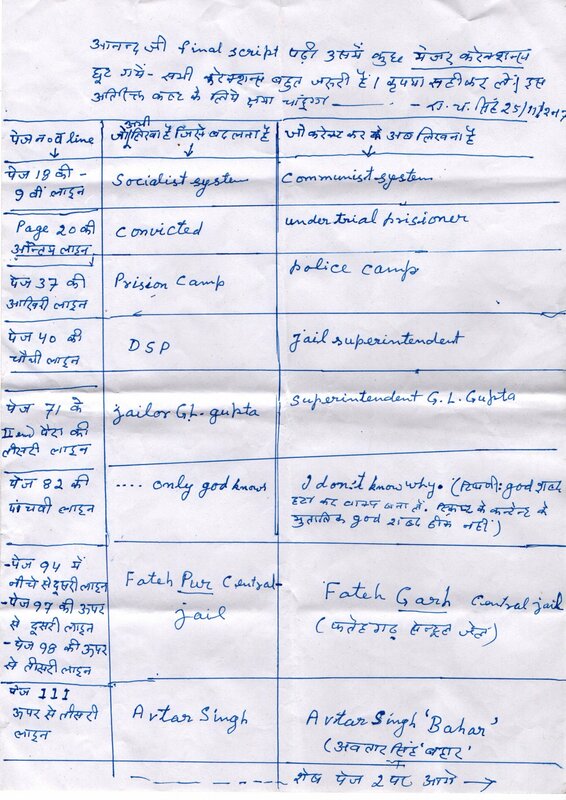 In 1984, the prison diary of Ramchandra Singh, a convicted naxalite, was published in Hindi in the weekend edition of the newspaper Rashtriya Sahara. The diary had been smuggled out as Singh served his life sentence across five UP jails from 1970 to 1983. In 1991, these fragments were bound together by the short-lived literary magazine, Samkaleen Dastavez of Lucknow, and published as Thehre Hue Terah Saal (The Thirteen Years that Stood Still). In the winter of 2016, the translation of this manuscript reached Navayana through Madhu Singh, professor of English at Lucknow University. Ramchandra Singh’s writings had fallen into obscurity; his life just another forgotten footnote in the long march of history. His attempt at outliving himself manifested as a well-crafted diary, which went unnoticed even within the radical left circles. With 13 Years: A Naxalite’s Prison Diary, Singh had something new to look forward to. A chance of reaching a new set of readers, a few hundreds of them, maybe even a thousand. A chance to tell them of the old days that have now become mere catch-phrases; of the immense zeal of another generation, that dared to dream of a better world, and failed—only to watch staues vandalised. Of the bodies of flesh and bone that made up the now mythical movement, bodies that spoke of justice in a society habituated to hierarchies and inequalities. Every fortnight he’d call in, inquiring how the book was coming along, clarifying details, recounting more anecdotes, suggesting small but all-important corrections. On 2 March this year, as the book was going to press, Singh passed away at his home in Bangarmau. And we asked ourselves: could we not have brought out the book sooner? Death blinds us to hindsight. Singh delighted in the fact that Angela Davis, author of Are Prisons Obsolete?, had written a glowing foreword for his book. A range of other public intellectuals too had been moved by the words of this thoughtful man questioning himself at every turn, showing us that even in conditions of inhuman duress we retain a threshold for sensitivity. Who else will be their intimate but us? Who in this beloved city is now pious? Who is now left that’s worthy of being the executioner? As we set about editing and producing the book we became intimate with the person of Ramchandra Singh. His penchant for observation even under extremely torturous conditions was inspiring. Yet he never made a mark in any political or literary discourse. In his death, we pay tribute to the countless stories that go unnoticed as the fiction of history gathers us all in its billowing folds. When the publisher S. Anand interviewed Singh in Banagrmau in January 2017, he shot a few minutes of footage of the village on his phone. The new editor at Navayana, Alex George, used it to make this short film that offers us a glimpse into the world of Ramchandra Singh. 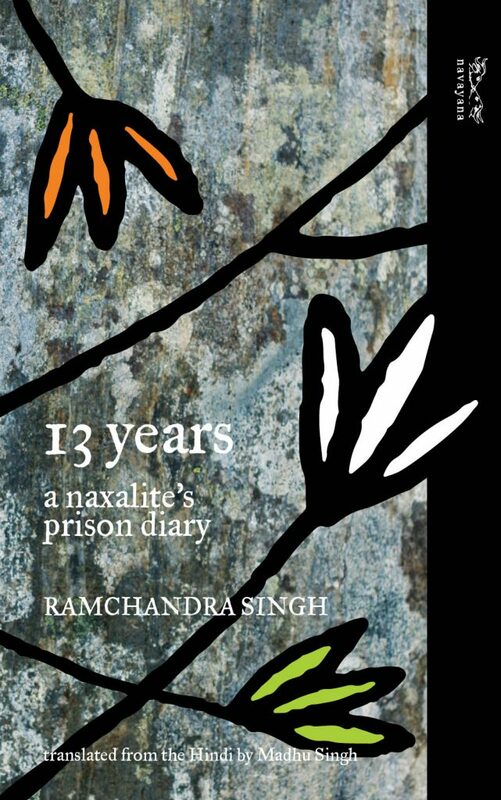 13 Years: A Naxalite’s Prison Diary is now available for pre-order on our website now and will reach bookstores by late April. To know more about Singh and how this thrice-born book came about read our tribute to him in the The Wire. In other news, the author Nathaniel Roberts has been awarded the Bernard S. Cohn Book Prize by the Association for Asian Studies for his book To Be Cared For: The Power of Conversion and Foreignness of Belonging in an Indian Slum. The prize is awarded for outstanding scholarship in a first book about South Asia. Published in 2016, this nimble study of the religious and political life of the dalit residents of a Chennai slum continues to inspire— this blog post tells you how and why. Another of our books that has not made much news, Old Demons New Deities, is a fine collection of short stories from Tibet edited by Tenzin Dickie. The stories explore the question of identity and belongingness with humour, grace and style. With recent reports of India rescinding its support for Tibetan sovereignty, it is all the more important we continue to engage with these voices of freedom. April is Dalit History Month, and you have two exciting tiles to look forward to: Soumyabrata Choudhury’s Ambedkar and Other Immortals: An Untouchable Research Program and Anand Teltumbde’s opus, Republic of Caste: Thinking Equality in the Time of Neoliberal Hindutva. More about these in time.